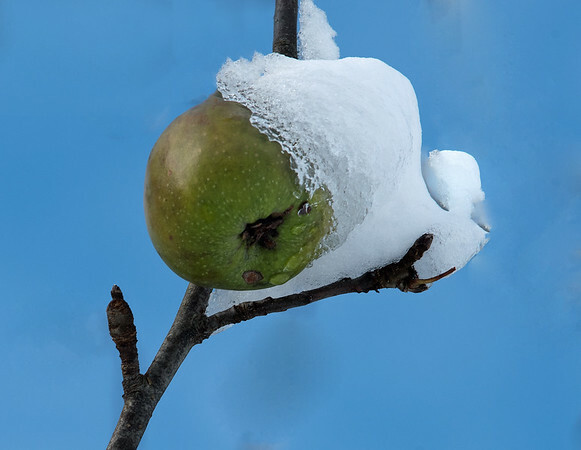 As you know, we’ve been monitoring some of the old, gnarly, and long-abandoned apple trees that simply won’t let go of some of their apples – despite several snow storms, a fair amount of wind, and the year’s end being near. Scientifically, it may be an enzyme deficiency that keeps the fruit glued. Imaginatively, it’s Mother Nature getting the Christmas Spirit and creating ornaments for her old trees.